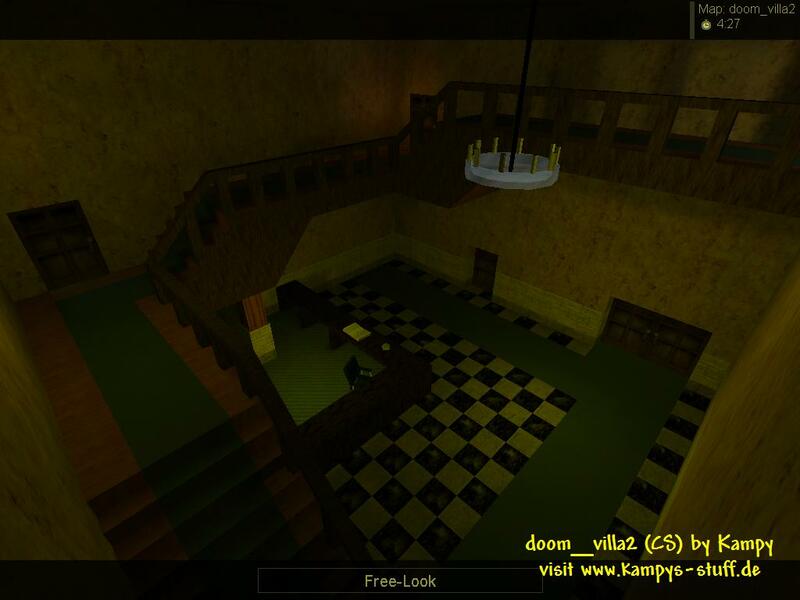 The second part of the villa of doom has a better CS gameplay. The Counterterrorists start outside the villa again this time in a bigger garden. 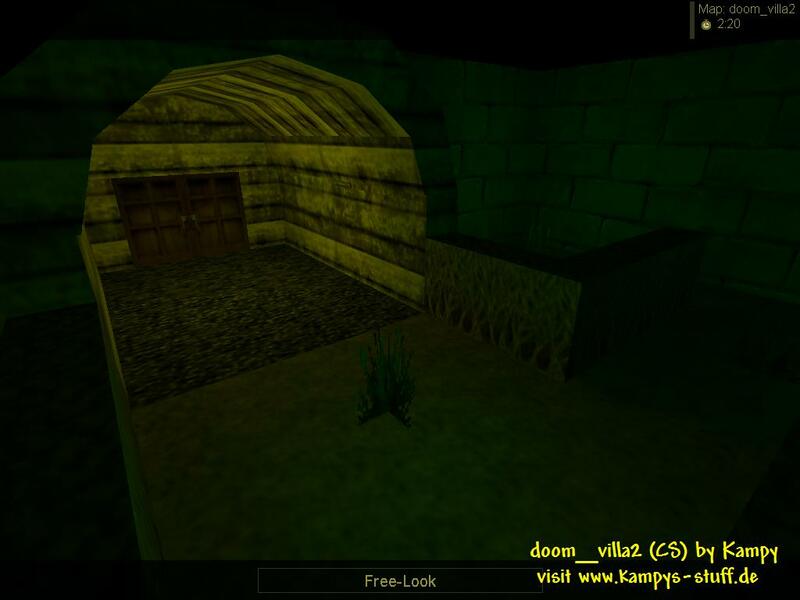 There are three ways to go: either go through the front door where youre most probably confronted with your enemies immediately or you choose the back door where you have to destroy a cupboard to get into a long corridor which leads into the terrorist base or into the main hall. The third way is very dangerous but is a fantastic position if you manage to make it there alive: you climb some plants at the side of the villa and smash a window to get into the main hall through the upper floor - there might be a terrorist camping there already. The terrorists team is the camping team usually. It starts in 4 small rooms which are connected to the main hall and the corridor that leads to the main hall again and the backdoor. Mostly the terrorist will station in the main hall, there are lots of places to camp - you can slash some of the banister and a part of the reception table to camp there. A very cool position is on the chandelier which blocks bullets. It can only be destroyed by hitting the rope. The gameplay is very balanced and teamplay is great on this map. There is no cs-goal like hostages or bombs though.